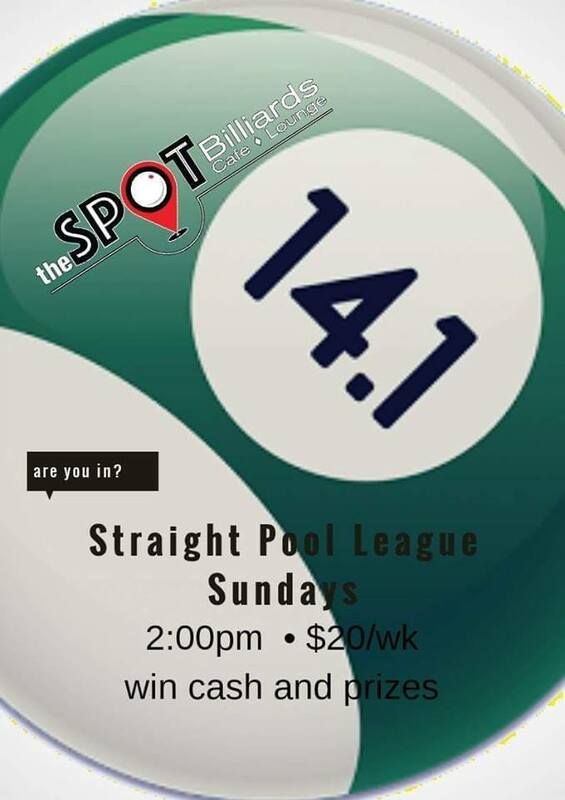 We also have room for APA teams as well as hosting the new UBL 8ball league on Tuesday nights. There are teams looking for players or find a few friends and start a new team yourselves. Contact us or stop by today! © 2019 The SPOT Billiards Cafe and Lounge.